Does your kid feel sad seeing his tooth shake? Does he question you about it? Do you answer them telling him that a tooth fairy would come by when he is fast asleep, and whisper a few magic words in his ear, and in a few days a new tooth will emerge? All kids have to go through this phase in life when their milk tooth is replaced by permanent ones. Milk teeth start forming in the womb and come through somewhere between five and eight months, although this can vary and boys are often a little later than girls. The last of these primary teeth normally come through when a child is between two and three years old. A child's mouth contains 20 temporary or baby teeth. This set of ‘primary teeth' is made up of four incisors, two canines and four molars in each jaw. Permanent teeth are the second set of teeth. 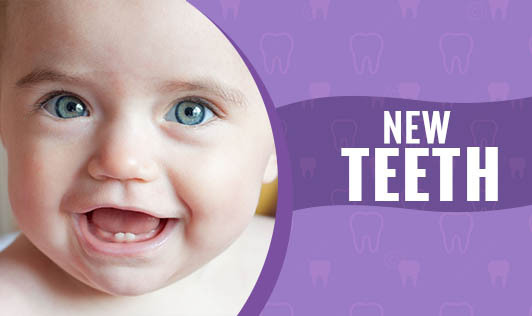 The primary teeth start falling out at around six years and up to 12 years on an average. At around six years, the first four permanent molars appear at the back of the mouth. They do not have milk teeth 'equivalents'. By the age of 13, a child doesn't normally have any primary teeth left, and has 28 of the 32 permanent adult teeth. The final permanent teeth to appear are usually the third molars or wisdom teeth, which can come through any time from the late teens to early or even mid-twenties, if at all. Adult teeth can sometimes grow behind or in front of the baby teeth creating a double row of teeth. However, a child can usually remove the loosened baby teeth by wriggling them over a number of weeks. Usually, once the baby teeth are gone, pressure exerted by the lips, tongue and cheeks will help to bring the new teeth into the correct position. Encourage your child to wriggle their baby teeth once they have become loose. Also, encourage good tooth brushing habits even if it is a little uncomfortable to clean around the loose tooth. It is important to maintain a healthy environment for the new teeth as they can affect their growth.